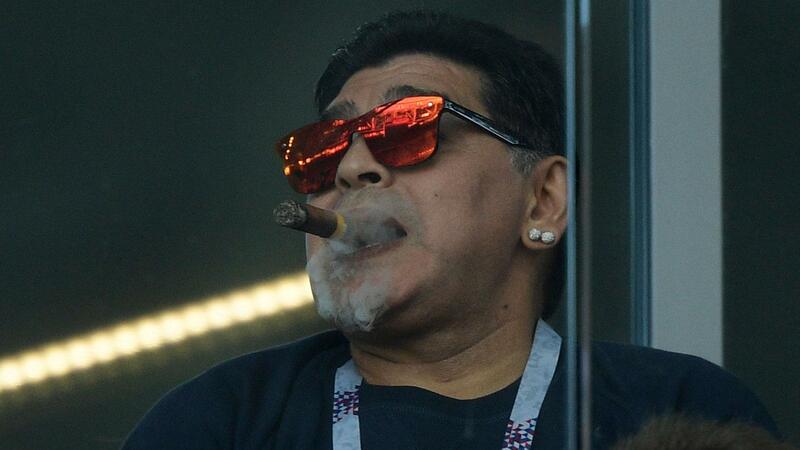 Argentina's football legend Diego Maradona smokes a cigar at the 2018 World Cup match between Argentina and Iceland at the Spartak Stadium in Moscow, Russia. Few names in soccer are as famous as Diego Maradona, the man who helped bring Argentina its second World Cup victory in 1986 with an infamous goal using his hand, rather than the traditional foot. At Argentina’s World Cup match on June 16 against Iceland, Maradona was in the limelight again for bending the rules, smoking a cigar in a non-smoking stadium.